I first met Samantha and Darren just over a year ago. I remember it quite well as it was only a few days after Josh was born and the ‘beast from the east’ had passed. Samantha and Darren were so welcoming when I met them at their home. We spent more time talking about life than we did weddings! 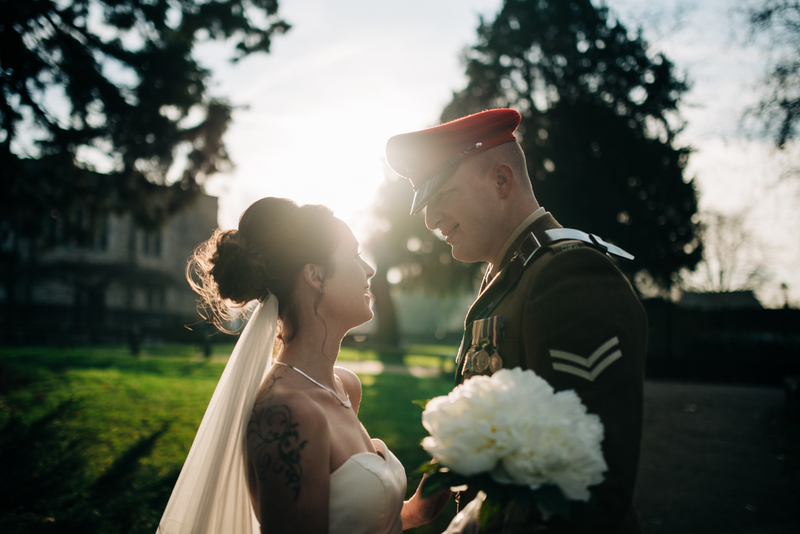 Fast forward to the middle of February, and their wedding day arrived at the beautiful Hadlow Manor. The day started with bridal prep in the bridal suite with ceremony to follow in the Garden Room. 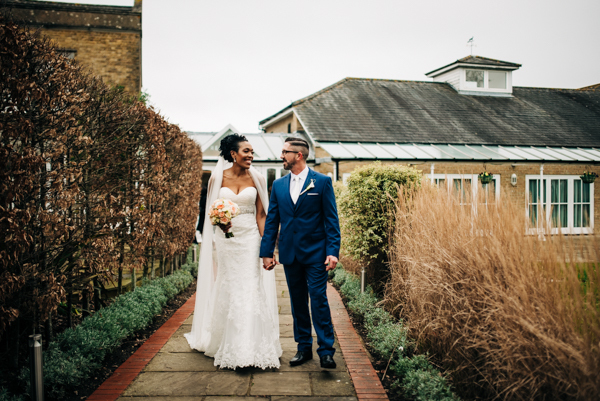 We managed to brave the cold and wind to do the group shots as well as for the the newlyweds to spend some time together and have some couples portraits around the outside space at Hadlow Manor. 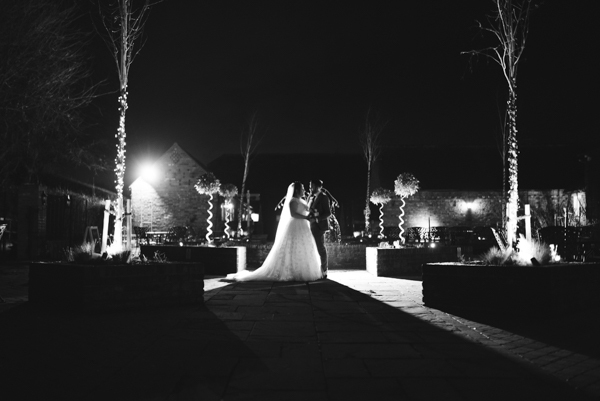 After dinner we managed to pop out again after dark to create some dramatic portraits, one of my favourite parts of winter weddings. As always, I’ll leave you with the images. With the new year under way, it’s an exciting time to look ahead and see what 2019 has in store for TJG Photography. This year got off to a start pretty quickly after the Christmas and New Year break with Laura and Matthews wedding covered on the 4th January (blog post coming soon!). It was a super chilly day but the winter sun offered some glorious opportunities for some couples portraits after the ceremony. I’m looking forward to my next wedding covering Sam & Darrens wedding at Hadlow Manor in February. It’s nice to get on top of things both editing wise as well as admin stuff for the year ahead and to complete the dreaded tax return! 2019 on paper will be my busiest year to date, but I’ve still got some room to squeeze in some bookings. I can’t wait to get out and about to meet couples that are booked in with me this year to run through their final wedding plans before their wedding day. Get in touch if you’re looking for a wedding photographer. I’m also really looking forward getting out on the road and meeting newly engaged couples looking for their wedding photographer, this is one of my favourite parts of what I do. 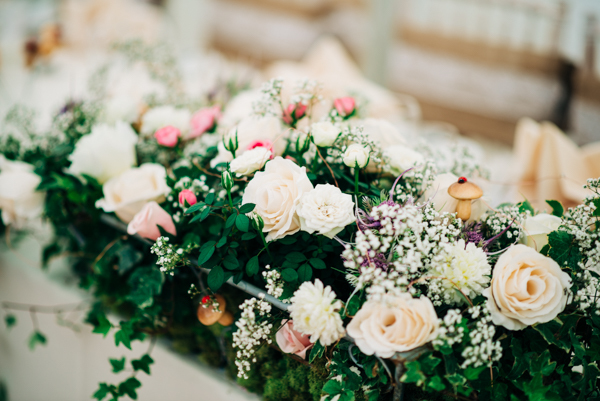 It’s great to meet couples and see their excitement for their wedding day, even though their wedding plans are normally in the early stages of planning. This part is the start of their journey planning their wedding. It’s always great to offer help and support and point these couples to other wedding professionals should they need some recommendations. I’m currently meeting couples for 2019, 2020 and even 2021 so it’s never too early or late to get in touch to see if I have the date available. You can contact me via my online form here, if you’re looking for your wedding photographer. Thanks to all those who have booked me for 2019/20, I’m looking forward to another awesome year as a Kent Wedding Photographer. 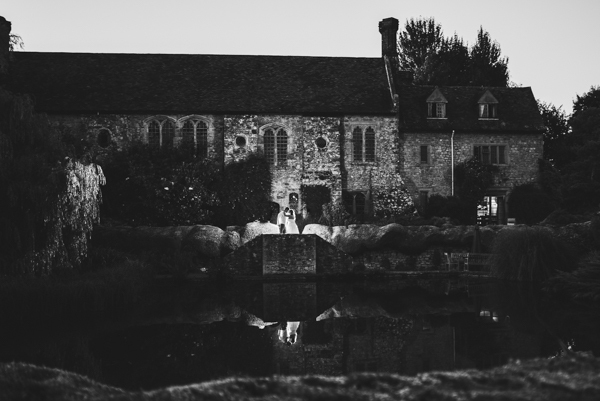 I had the pleasure of covering Kelly & Graeme’s beautiful autumnal wedding at the Great Barn, Rolvenden. Kelly got ready at the lodges at The Bull Inn a few miles away from the wedding venue. As I arrived at the Great Barn it was clear how much effort Graeme and Kelly had put into decorating the venue. 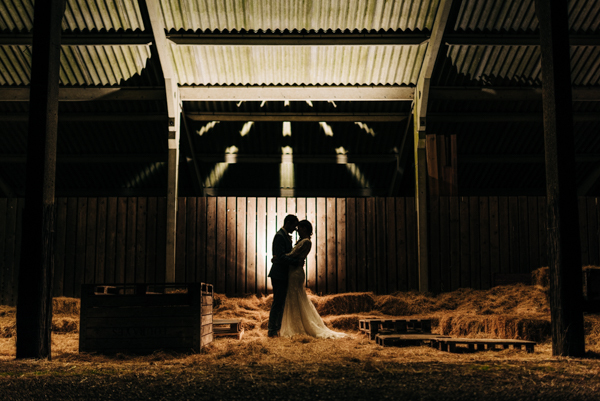 It looked absolutely stunning (barn weddings are a favourite of mine!). We were fortunate enough to be able to do the group photographs in the orchards of the venue, which we also used for Kelly & Graeme’s first round of portraits. After dinner was served, the sun was setting and there was some gorgeous colours in the sky so we popped out again for another round of portraits in the soft light. On both portrait sessions I had noticed a barn at the side of the venue and had something in my mind to try when the sun had disappeared for the day. Scroll to the last photograph to see what I came up with. I wish Graeme and Kelly all the best for the future, it was a pleasure photographing your wedding. 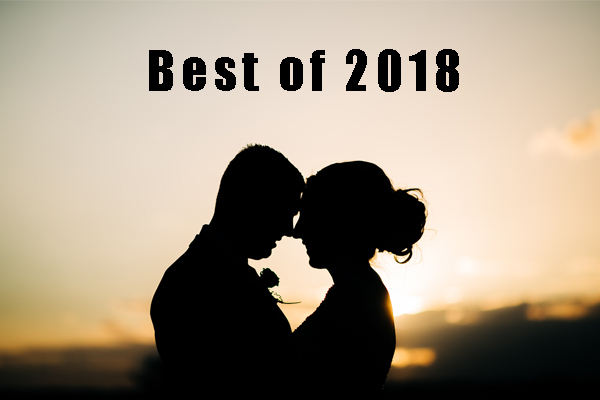 If you want to see more of my work from 2018 head over to my Best of 2018 Blog Post HERE. What a year it’s been, I’ve had the pleasure of photographing many weddings across Kent and it has been an absolute blast. I’ve met so many awesome people along the way and have delivered thousands and thousands of photographs. Here’s a short slideshow of a selection of my favourite shots from the past year. Next year is looking even busier so I’m really looking forward to getting going again (although I still have 1 left for this year!) and visiting some venues I’ve never photographed at before. So thanks for all your support in 2018, and roll on 2019! I wish all my past and future couples and all the people that have helped support me through this hectic year, a very Merry Christmas and a Happy New Year. I first met Rhys and Morgan at their venue a couple of weeks before their wedding, we took a walk along The Leas after a wander around their venue. When we met, the evening was beautiful, warm and the light was stunning. I remember saying as I left “If we get weather like it would be awesome”. So the day of the wedding reception came and the weather was exactly like the day we met, beautiful autumn sunshine that turned into some lovely evening light. 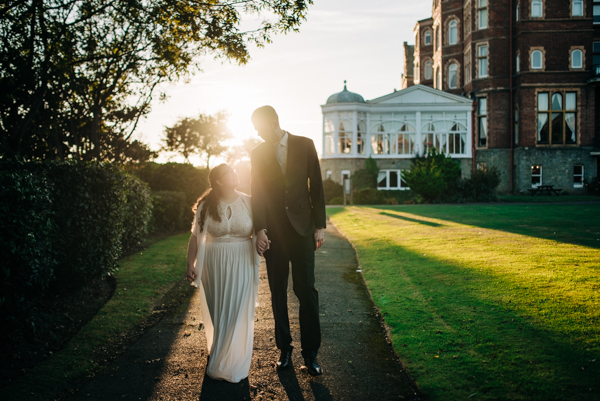 Rhys & Morgan got married a few days earlier but chose to have an intimate reception a few days later at The Grand in Folkestone. After some group shots we went for a wander along the Leas again to capture some lovely moments together. As the temperature dropped we popped out to take advantage of the Grand (see what I did there…?) entrance of the hotel for some night time snaps. It’s not often I get the chance to go over to Essex to photograph, but this was a wedding I’ve been looking forward to for over a year. This wasn’t your typical wedding. It was hosted in the front and back garden of Ollie’s parents place. Not that you’d know from that these photos, the setup was amazing and would put a few wedding venues to shame. Lots of thought had gone into every detail and the result was simply stunning. With music provided by the seriously awesome Three Mile Hill the place was rocking. The day started in a hotel not far from the church where Loren and Ollie were to be wed. Then it was onto their families local church for the ceremony, which went without a hitch despite Loren running a little bit late. After the obligatory group shots, we were back at the reception and greeted by the band. If you’re looking for wedding entertainment you need to check these guys out. After a full 3 course meal and the speeches we walked out to some local fields as the sun set to get some awesome portraits. Then it was back to the party, and it really was a party! The dance floor was full and some serious moves were happening. 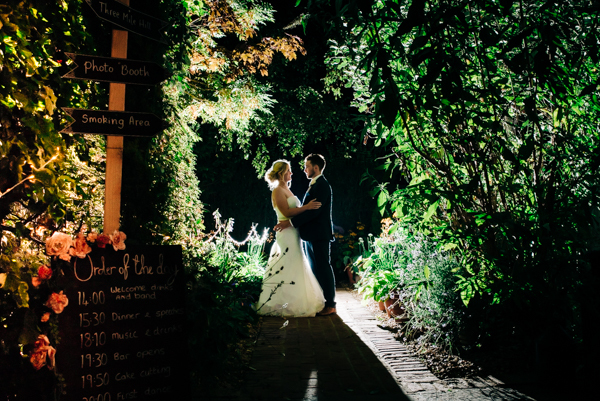 I managed to grab hold of the newlyweds for a few after-dark portraits down the side of the garden and the results were pretty awesome, if I may say so myself! As always, I’ll let the pictures do the talking!